It’s easy to look at the progress we’ve made as a country and be satisfied, but in many areas, distribution of resources remains as skewed as ever before. Nowhere is this more apparent than in the disparity between Planet Hollywoods in low-income areas compared to locations in affluent areas. It’s a trend that dates back decades and is more prevalent now than ever. How bad is it? Over 80 percent of underfunded Planet Hollywoods reported lacking the types of eye-catching movie memorabilia seen in wealthier neighborhoods. This eye-opening statistic means only one thing: It’s time to demand change. It’s time to demand equality. An Iron Man costume that was actually worn by Robert Downey Jr. in The Avengers is featured in the Bloomfield Hills, MI Planet Hollywood. Just 20 miles away, the Detroit Planet Hollywood also has an Avengers item: a crushed Coke can consumed by Jeremy Renner during day 38 of shooting. If this doesn’t convince you that something needs to be done to fix our nation’s Planet Hollywood problem, nothing will. The statistics paint a truly harrowing picture of just how bad things have gotten. Patrons in underfunded Planet Hollywoods are 20 times as likely to have a piece of memorabilia from Welcome To Mooseport, Summer Catch, or a John Krasinski movie as patrons in a more affluent area. Shocking. Congress has tried and failed many times to fix this problem. While senators are promising aid and funding to the downtown Washington, D.C. 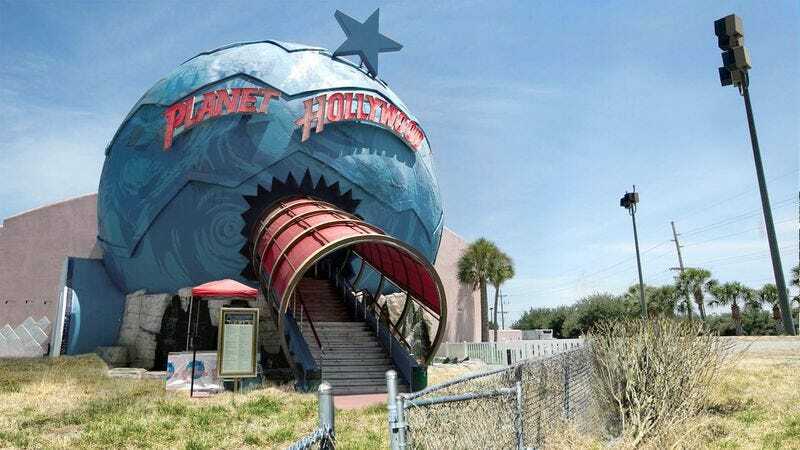 Planet Hollywood currently getting by on just one of Ben Affleck’s shoes from Forces Of Nature, they’re sending their children to the Planet Hollywood in nearby Montgomery County, where they have the actual boulder from Raiders Of The Lost Ark. Until things are really fixed, patrons of deprived Planet Hollywoods will continue being forced to eat their porterhouse steaks next to David Duchovny’s palm prints.